The 2014-2015 Auburn Sculpture Gallery has been installed in downtown Auburn. Seven new artworks grace the sidewalks throughout Main Street, connecting citizens and visitors to the works of regional artists for the next year. The 2014 People's Choice award winner is "Watch my Tail" by Patricia Vader. 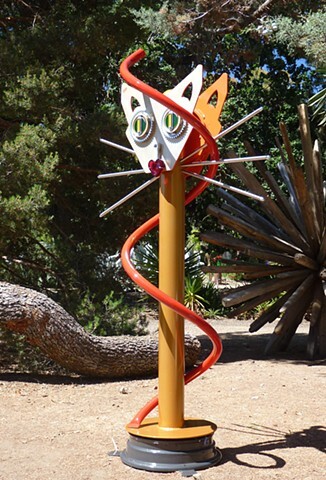 The sculpture that was previously installed on Main Street and A Street SW will be installed in early 2015 along A Street SE, in proximity to the Auburn Valley Humane Society.